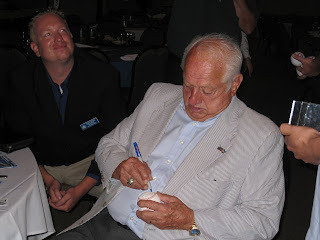 Tommy Lasorda was the guest speaker at the 66er's Meet The Team Dinner on May 15, 2009. The event was held at the Orange Show in San Bernardino. 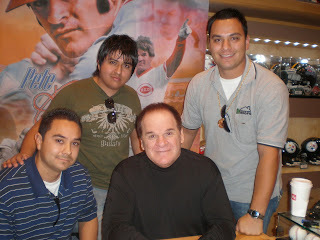 This time I didn't have to drive to L.A. like I normally have to do to obtain autographs. 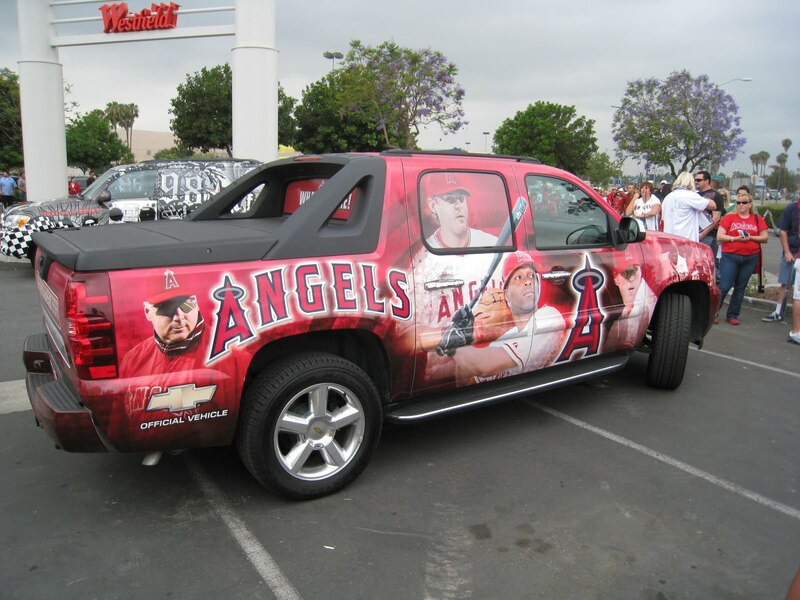 It was a short ten minute drive from Redlands where I live. Ticket prices for the event were $35 per person. It was well worth my money. 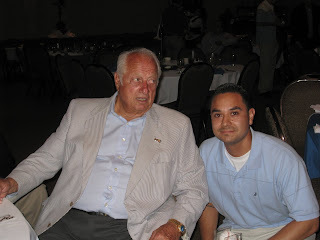 We had a very good Italian buffet and were privileged to hear the man who bleeds Dodger Blue speak in person. Tommy told many stories about his playing and coaching days. Most of his stories were very funny and kept everybody laughing. After the event Tommy spent time signing autographs for the fans. I got a ball and photo signed. Too bad he is looking at the wrong camera in the photo. I didn't bother asking for another picture since he looked very tired. 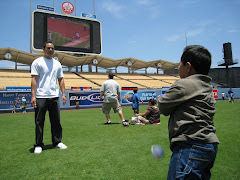 Thanks to the Dodgers single A Affiliate for this event. I hope they do it again next year. I had the opportunity to meet baseballs all time hit leader in Vegas. The fee per autograph was $69 for small items. I chose an 8X10 photo to get autographed. I tend to stay away from purchasing autographs since I already waste a lot of time and money driving to L.A. and Orange County for autographs. I was in Vegas and it was either pay for the autograph or blow the money on gambling or strippers. I chose the guaranteed autograph. This was the shortest autograph line I had ever been in. I think my wait was about a minute. If it was a free signing the line would of been all the way around the corner. It was well worth my money. It was an actual meet and greet. Pete made conversation with my friends and I as he signed my photo. I even got to sit next to him. Thanks to Field of Dreams in the Caesars Forum Shops for this experience. 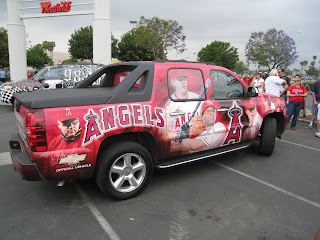 The video below is of Chone Figgins signing autographs in Anaheim Hills. The event took place at a At&t store. The line was very long. My estimate was about 400 people. Once Chone arrived it moved pretty fast. I got my Angels mini helmet signed. Thanks to At&t in Anaheim Hills for this free event.